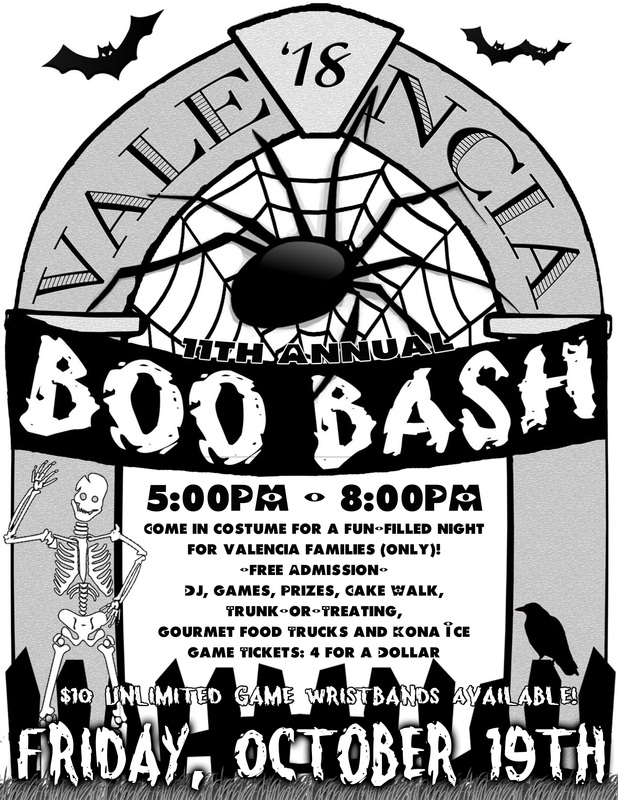 The ghouls of Boo Bash invite all Valencia families to come howl at the moon in costume or come as you aren't for a boo'tiful night of family mayhem! Admission is free for Valencia families. Unlimited Game Wristbands will be available for $10 each! BRING CASH, credit cards not accepted! No drop-offs at the event please. Students must be accompanied by an adult at the event. 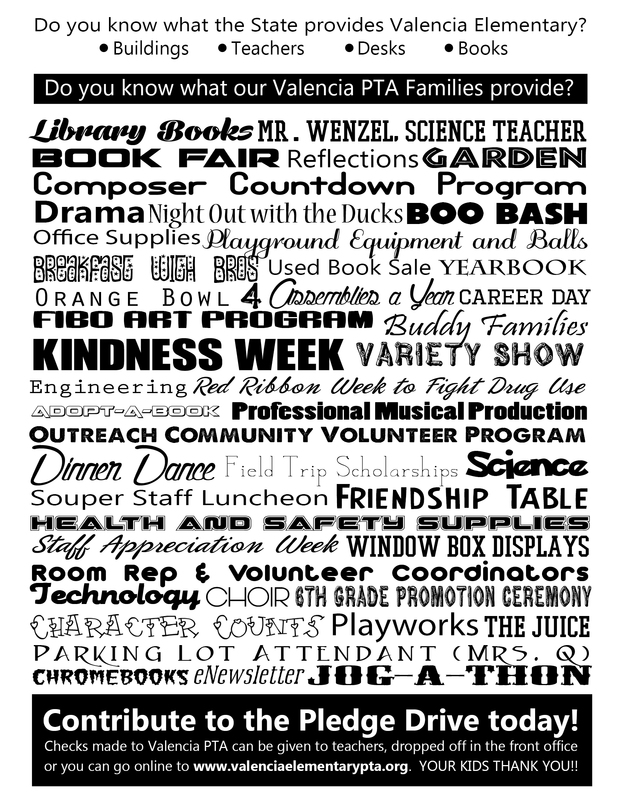 The event is only for Valencia students and their families. Volunteers are needed! Sign up here!